CRAMER, W. A., Guardsman, Grenadier Guards. After volunteering in September 1914, he passed through his training, and was drafted in the following May to the Western Front, where he took part in many important engagements. He was in action at Ypres, on the Somme, at Arras, Vimy, Messines and Passchendaele Ridges and Lens. Later he fought at Cambrai and in the Retreat and Advance of 1918 until the Armistice, after which he served in the Army of Occupation on the Rhine. Demobilised in March 1919, he holds the 1914-15 Star, and the General Service and Victory Medals. 32, Tustin Street, Peckham, S.E.15. CRAMMOND, S. C., Fireman, Merchant Service. Joining in 1917, he was posted to H.M.S. "Mansfield," which was engaged in the conveyance of troops from Canada and U.S.A. to France, as well as wounded men from France to England, and foodstuffs from foreign ports to home centres. In 1920 he was still engaged in the Merchant Service, and holds the General Service and Mercantile Marine War Medals. 60, Prince Street, Deptford, S.E.8. CRAMPHORN, S. A., Gunner, R.F.A. After volunteering in June 1915, he proceeded with his Battery to the Western Front in the same year. He did good service in actions at Ypres, Arras, Armentieres, Bullecourt, and on the Somme, was also engaged at Vimy and Passcheudaele Ridges, and in the Retreat and Advance of 1918, during which he was very badly gassed. Being invalided home he was demobilised from Hospital in February 1919, and holds the 1914-15 Star, and the General Service and Victory Medals. 63, Dennetts Road, New Cross, S.E.14. CRAMPTON, C. T., Stoker Petty Officer, R.N. Having enlisted originally in 1896, he was serving in H.M.S. "Hawke" with the Grand Fleet on the outbreak of war. He met with a gallant sailor's death when his ship was torpedoed by enemy submarine on October 4th, 1914. He was entitled to the 1914-15 Star, and the General Service and Victory Medals. 60, Plough Road, Rotherhithe, S.E.16. CRAMPTON, J., Air Mechanic, R.A.F. (late R.F.C.) Joining in November 1916, he was not fit for service overseas owing to his youth, but did good work at various aerodromes in England, in connection with repairs and construction, until the end of the war, and was still serving in 1920. CRANE, C. H., Bombardier, R.F.A. Joining in March 1916, he was sent with his Battery to the Western Front in the same year, and did good service in actions at Bourlon, Arras, Oppy Wood, Monchy-le-Prieux, La Bassee, and many other places. After seeing heavy fighting all along the front, he unfortunately broke down in health, and being invalided home was discharged in February 1918 as unfit for further service. He holds the General Service and Victory Medals. 15, Hollydale Road, Peckham, S.E.15. CRANE, T. H. J., Driver, R.F.A. After volunteering in April 1915 he proceeded with his Battery to India in the same year, and took part in the Frontier operations, until he was transferred in 1916 to Mesopotamia where he was engaged at Kut, Amara, and Baghdad. He remained on that front until 1919, when he was sent to Persia, where he was still serving in two. He holds the 1914-15 Star, and the General Service and Victory Medals. 52, Rouel Road, Rotherhithe, S.E.16. CRANEFIELD, L. H., Driver, R.A.V.C. and R.F.A. Joining in 1916 he served his training at stations in the South of England, and was sent to France in the same year. He did good work in the care of wounded and sick horses at St. Omer, going to and from the front line in charge of them, In 1917 he was transferred to the Royal Field Artillery, and was detained in England for training being found unfit for service overseas. Demobilised in February 1919, he holds the General Service and Victory Medals. 2, Aspinden Road, Rotherhithe, S.E.16. CRANFIELD, J. W. (M.M. ), Driver, R.F.A. 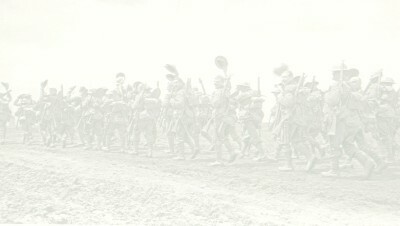 Mobilised on the outbreak of war, he proceeded to France and did good service in the Retreat from Mons, and later in engagements at La Bassee, Ypres I, Neuve Chapelle, Ypres II, Festubert, and many other places, gaining the Military Medal for conspicuous gallantry in saving horses under shell-fire. He served all through the final stages of the war, being once wounded, and after the Armistice went with the Army of Occupation to the Rhine. Demobilised in April 1919, he holds the Mons Star, and the General Service and Victory Medals, in addition to the Military Medal. 66, Lucas Street, Deptford, S.E.8. CRANMER, W. R., Gunner, R.F.A. Joining in June 1916, he was sent in the same year to Mesopotamia, and fought in the and action of Kut-el-Amara. He served on that front until 1918, when he returned to England, and went from there to France just before the Armistice, after which he joined the Army of Occupation on the Rhine. He was eventually demobilised in September 1919, and holds the General Service and Victory Medals. 17, Croft Street, Deptford, S.E.8. CRANSTON, A. F., Trumpeter, R.G.A. He volunteered in December 1914, and after undergoing a period of training served at various stations on important duties. Owing to his being underage for duty abroad, he was not able to obtain a transfer to the Front, and was ultimately discharged as medically unfit for further service in August 1919. 61, Miall Road, Sydenham, S.E.26. CRANSTOUN, W. H., Sergt., R.H.A. Mobilised from the Reserve at the outbreak of war he was forthwith drafted to France, and served in the Retreat from Mons. He was also in action in the Battles of the Marne, the Aisne, La Bassee, Ypres, Neuve Chapelle, Loos, St. Eloi, Albert, Vimy Ridge, the Somme, Arras, Bullecourt, and Cambrai. He was sent home in 1918 owing to injuries received accidentally, and was retained in England as an Instructor to recruits until January 1919, when he was demobilised. He holds the Mons Star, and the General Service and Victory Medals. 235, Adamsrill Road, Sydenham, S.E.26. CRAVEN, J., Private, 2nd Cheshire Regiment. A serving soldier on the outbreak of war he was sent to the Western Front in 1915, and was in action in the Ypres and Arras sectors. Later he was transferred in 1916 to Salonika, and took part in the operations on the Struma and Doiran fronts. He served there until the end of the war, and unluckily contracted malarial fever, from which he still suffers. Demobilised in April 1919, he holds the 1914-15 Star, and the General Service and Victory Medals. CRAWFORD, A. H., Rifleman, 8th London Regt. (Post Office Rifles). He joined in 1918, and after a period of training was engaged on important duties at various stations. He was unable to obtain a transfer abroad owing to medical reasons, but, never the less, did very valuable work until 1919, when he was demobilised. 8, Christchurch Street, Greenwich, S.E.10. CRAWFORD, D. (Mrs.), Special War Worker. This lady volunteered for work of National importance in 1917, and rendered most valuable services for six months in munition works, being engaged at a cordite factory in London, at which she did excellent work, gaining much credit for her industry and skill. 15, Leyton Square, Peckham, S.E.15. CRAWFORD, H., Gunner, R.F.A. Volunteering in October 1915, he was sent with his Battery to France in the following December, and rendered good service in engagements at Vimy Ridge, on the Somme, where he was gassed, and later, at Arras, Bullecourt, and Ypres III. In the course of these engagements he was twice slightly wounded, but was sent to England later in 1917, suffering from illness. On recovery he returned to France in 1918, and served through the final stages, being eventually demobilised in June 1919. He holds the 1914-15 Star, and the General Service and Victory Medals. CREAMER, J. W., Driver, R.E. After volunteering in September 1914, he was sent to the Western Front in the following May, and did good service in connection with engagements at Loos, on the Somme, at Ploegsteert Wood, Arras, Vimy Ridge, and Cambrai. Later he served through the Retreat and Advance of 1918, rendering valuable aid in pontoon bridge building, and was eventually demobilised in May 1919. He holds the 1914-15 Star, and the General Service and Victory Medals. 3, Goodwood Road, New Cross, S.E.14. CREANEY, M. O., Corporal, New Zealand Forces. He volunteered in New Zealand in 1915, and embarked for the Western Front from England in August 1916. He served with the 1st Battalion Wellington Infantry Regiment until July 1917, when he was transferred to the 1st New Zealand Light Trench Mortar Battery. He was invalided from the Front in the following month, but rejoined his Battery in September. He was unhappily killed in action in Belgium on October 4th, 1917, and was entitled to the General Service and Victory Medals. CREBER, F., Gunner, R.G.A. Having enlisted in 1906, he was serving in India on the out-break of war, and was sent to France in September 1914 in time to take part in the great Battles of the Marne, the Aisne, and Ypres I. Later he was in actions at Festubert, and Loos, also on the Somme, and at Arras, Lens, and Cambrai, doing great service with the heavy guns. He served on through all the final operations, and was demobilised, after his fine record in January 1919. He holds the 1924-15 Star, and the General Service and Victory Medals. 1, Atlas Street, Greenwich, S.E.10.